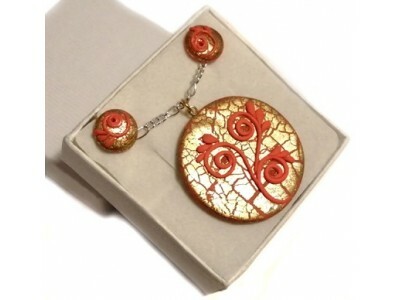 Delicate Elegance - Jewelry for Special OccassionsThere are 23 products. Delicate Elegance is a special ooak handmade jewelry collection which reminds of stunningly tasteful white, brown and black chocolate. It is so very spiecial, delicate and noticeable that a woman wearing a piece from this collection won't get unnoticed in a crowd of people. I created this collection to wear it on special occasions and to emphasise woman's natural beauty, femininity and elegance.